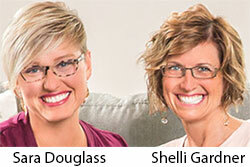 Stampin’ Up was founded in 1988 by sisters Shelli Gardner and LaVonne Crosby. The company is based out of Utah in the US and operates in the arts and crafts MLM niche. Today Stampin’ Up claims to have “tens of thousands” of affiliates across the US, Canada, Australia, the Netherlands and Japan. LaVonne Crosby stepped down as CEO and left Stampin’ Up in 1998. Shelli Gardner was appointed CEO and held the position until 2016. In early 2015 Shelli Gardner announced she would be stepping down to pursue ‘a full-time mission for The Church of Jesus Christ of Latter-day Saints‘. In March, 2016 Sara Douglass, Shelli Gardner’s daughter, was appointed Stampin’ Up’s new CEO. According to the Stampin’ Up website, Gardner ‘continues her involvement with the company, playing a vital role as Board Chair‘. Read on for a full review of the Stampin’ Up MLM opportunity. Stampin’ Up initially sourced third-party stamps but began manufacturing their own products in 1992. Stampin’ Up has far too many products to list here individually, however a full catalog is available on their website (a printed copy costs $5 for some reason with no PDF alternative). Selected Stampin’ Up products are available in bundles and kits. The company also offers a monthly “Paper Pumpkin” stamping kit subscription for $19.95 a month (6 and 12 month discounted subscriptions also available). Stampin’ Up pay retail commissions based on sales volume production. 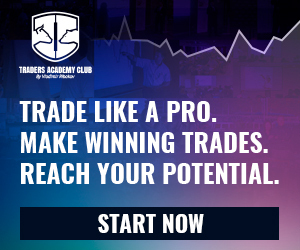 Residual commissions are paid down three levels of recruitment with additional performance bonuses on offer. There are eight affiliate ranks within the Stampin’ Up compensation plan. GV stands for “Group Volume” and is sales volume generated by an affiliate’s orders, those of their retail customers and personal and retail orders by their downline. Stampin’ Up split retail commission rates between Bronze and Bronze Elite and higher ranked affiliates. Stampin’ Up pay residual commissions down three levels of recruitment (unilevel). For the purpose of residual commission rate calculation, CSV is sales volume generated by an affiliate and their personally recruited affiliates. A “qualified recruit” is a Stampin’ Up affiliate who has generated at least 900 GV since signing up. There’s also no explanation for what the “Silver Elite boost” , however I believe it’s an additional bonus when personally recruited affiliates qualify at the Silver Elite rank. One of the ways a Stampin’ Up affiliate can market products is through home parties. Hosting a home party even that generates at least $150 in sales also qualifies an affiliate to receive 50% of one purchased item. I’ve quoted the more vague bonuses verbatim from the Stampin’ Up compensation plan. No further details are provided. There’s no explanation of what Flex Points are in the Stampin’ Up compensation plan. Flex Points are valid for a a year plus month during the period they are earned. A Stampin’ Up compensation plan overview document provides an example of a Flex Point year running from October to September the following year. In this example Flex Points would expire in October following September. Stampin’ Up affiliate membership is $99, which includes $125 worth of Stampin’ Up products (retail value). New affiliates also require “a copy of Stampin’ Up!’s current catalog(s)”, which the company sells for $5. Stampin’ Up identify their “core market” as ‘99 percent female, largely Caucasian, mid-30s and older, mainly married, mostly with children‘. I’m about as far from that as you can get, so it’s not surprising I don’t see myself sitting around making cards and arts and craft memories. That said, I can appreciate walking into a newsagent and dropping $8-$15 on a paper gift card and feeling ripped off. The question I guess is how often you buy cards and whether making your own is something you’re interested in. You’d have to be putting together quite a few projects to justify spending money on a permanent kit to create your own designs. I guess this is where the “mom factor” kicks in, as women with children are far more likely to be preparing cards and scrapbooks. Men too if that’s your thing (the percentage quoted above is from 2006, I couldn’t find anything more recent). With who your target market is likely to be in mind, Stampin’ Up appears to be a genuine attempt to offer scrapbooking related products at competitive prices. And that’s important, because scrapbooking products are readily shippable and available all over the internet. Stampin’ Up’s edge is a continuously updated catalog and community of like-minded scrapbookers. Very much a hobby and consumable, I can see scrapbooking groups being a great way to keep in touch with people. Not something I’d be into but again you have to keep in mind the target demographic. On the compensation plan side of things Stampin’ Up keeps it tight with just three levels. This is very manageable and ties in perfectly with creating a scrapbooking community. Even with a large downline personal responsibility across three levels shouldn’t be too hard to manage. One quirk in the Stampin’ Up compensation plan was the separation of rank from residual commission rates. Affiliate ranks is exclusively tied to bonuses, whereas residual (and retail) commission rates are based on GV production. Not sure if that’s any better, but things could be simplified by adjusting ranks to their respective commission rate equivalents (add a few more corresponding ranks if required). Marketing wise Stampin’ Up appear to be primarily party driven. A downside of this approach is inventory required to host parties. 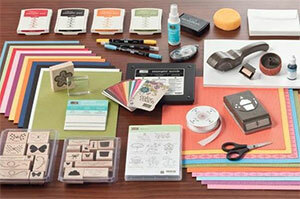 As a Stampin’ Up affiliate you can hardly organize a party event and then rock up with not enough samples to demo. Stampin’ Up do a good job of rewarding affiliates who are already generating sales, however new affiliates might find the initial cost of building up party event inventory a bit daunting. Worse still if they’re not finding the business a good fit, costs could quickly escalate. Although not unique to Stampin’ Up, this is definitely something to watch out for. Other than that you’re looking at a $99 entry point, which is pretty much a $125 retail order at wholesale. If scrapbooking is your thing and you know others who are like-minded, take a look at what Stampin’ Up have to offer and go from there. Good luck!